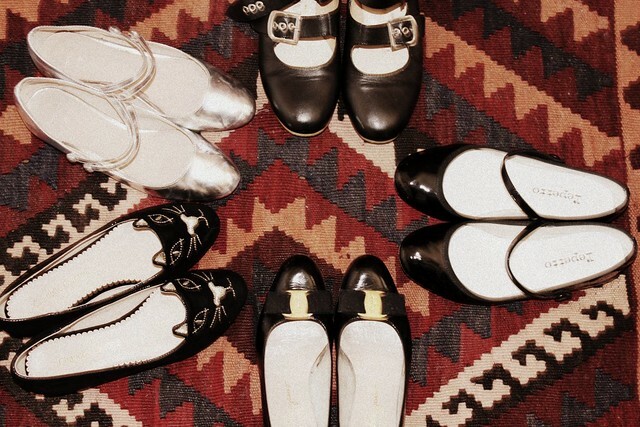 The shoe lair (clockwise): ferragamo "vara", charlotte olympia kitty flats, topshop "voilá" in silver, vivienne westwood three strap flats, repetto "lio". I know I have been a terrible blogger lately. I haven't written decent/interesting/meaningful chunky paragraphs as I should but lately I've only been wanting to post silly stuff, e.g. : mtv's 90s daria still shots, jack nicholson addictive gifs, 60s psychedelic movies like Wonderwall. Not exactly blog material, right? I do like the grown up isabel marant meets boho marais dudes and dudettes eating pierre herme delicacies after attending some cool, hip diptyque candle scented arty vernissage . I do like that. But I also like silly stuff, goofy stuff, surreal stuff, kitsch and retro stuff. 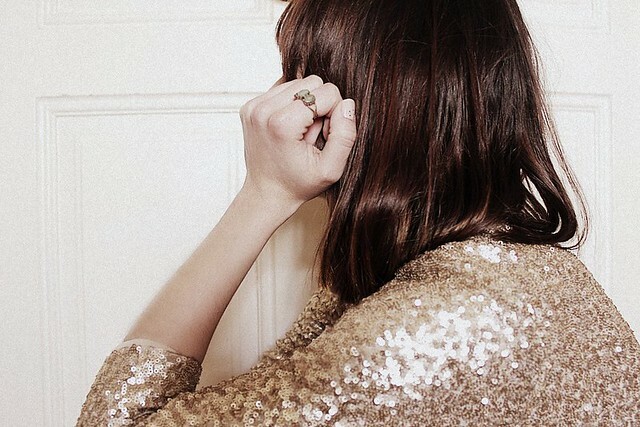 I don't wear maxi dresses because I don't have maxi legs: 1960s gold sequin dress| 1960s three stone jade vintage ring. (I went for flat mary janes with this dress). I've always been kind of a tomboy and I still am even though I might wear now repettos or chanel flats instead of the dirty converse trainers (well actually, I do wear those with a leopard print coat).. I can't act like a girlie girl. And I won't. This fact got me screwed from time to time because people don't seem to hit off with me very easily. Oh , and I like Godard movies and obscure 1960s garage rock bands. It's funny because the other day i visited this vintage shop and the girl who worked there was mentioning she never watched titanic, well only bits and bobs on youtube or something and i immediately related to that: I NEVER WATCHED TITANIC EITHER. And we don't intend to! She added "those type of movies are for the masses". Damn right they are. Also loving your rug lair. You do too have Maxi dress legs. I swear!!! I'm with you, I've never watched Titanic either. It's so not my thing. eh post what you wanna post! its your blog after all, don't worry what the readers think. Do what you gotta do. Titanic is on tv right now!!! Titanic may have had a bigger budget and a wider target audience than a Godard film but I really think it is such a shame that you are missing out on seeing it for the sake of being obscure. You should appreciate someone's work for what it is and not by how many other people like it. Regardless of how different and special you are, I found this post of yours to be quite pretentious. Lindsay K.: Hello! *I’m glad there are more people out there who have never watched that movie :p. Thank you for your comment! Janelle Burger: Ms. Burger…gosh I really can’t stand that movie’s theme song. It’s like a curse! I didn’t mean to sound pretentious, mainly because I don’t consider myself a pretentious individual, at all. I do like “trashy” stuff like Ernest movies, and I do like blockbuster type of movies too: I just don’t get “Titanic”. I confess the theme song puts me off a lot. Plus the winslet/dicaprio combo is not really my cup of tea. And yes, when in comparison I do prefer Godard to that. Anyway, thank you for your comment. I think your blog is adorable and genuine and please continue to feel free to post whatever is on your mind! And I don't consider you mentioning to prefer Godard movies pretentious, on the opposite. It seems that being obscure has become such a twisted thing lately that liking Godard is almost mainstream whereas admitting to be into a blockbuster only makes you more "interesting". Oh, I'm in love with these Charlotte Olympia flats ! Sou uma seguidora silenciosa (digo isto porque nunca comentei nada) deste blog ha meses e de cada vez que aqui venho derreto-me com a qualidade de cada post. Adoro o teu sentido estetico tanto ao nivel da escrita como do q mostras nas fotografias que tiras ou nas imagens que escolhes. So recentemente e que descobri que eras portuguesa tambem e isso faz-me achar este blog ainda mais fascinante, porque sao poucos ou nenhuns os blogs portugueses que conseguem atingir este patamar. Tenho pena que nao facas posts mais frequentes mas bem sei como e dificil mantermos a disciplina do post diario/semanal ou o q queres q seja. Hoje que quebrei o meu silencio de seguidora anonima queria felicitar-te pela qualidade que aqui vejo sempre que ca venho. Is this your shoe collection? I never thought that I would experience shoe envy, haha! Love the rug also. I relate to this post on so many levels, thank you so much! I wouldn't consider myself a girly girl by any means, but that doesn't mean I completely eschew dresses, skirts, flats, etc. In fact I like them all. I'm also with you on the sixties silhouettes. I find them most flattering and the streamline quality takes out the "fluffiness" of more feminine things that tends to put me off. P.S. : I haven't seen Titanic either. I've caught a couple scenes here and there, but have never been interested enough to finish the movie. love love love love love this blog + those shoes!! E esses sapatinhos da Charlotte Olympia são tão maravilhosos!! 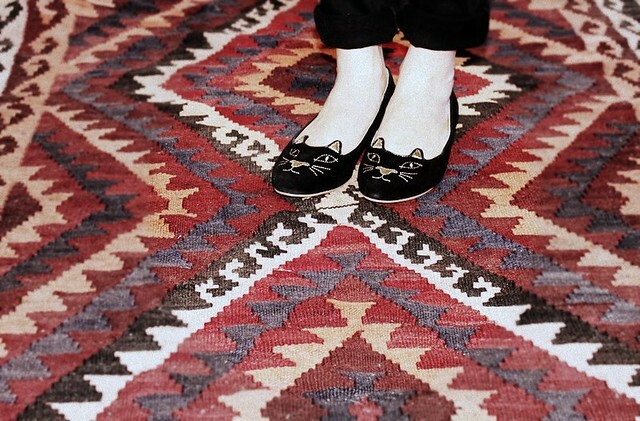 Yes, love to the cat flats! Super adorable and they look so comfy!